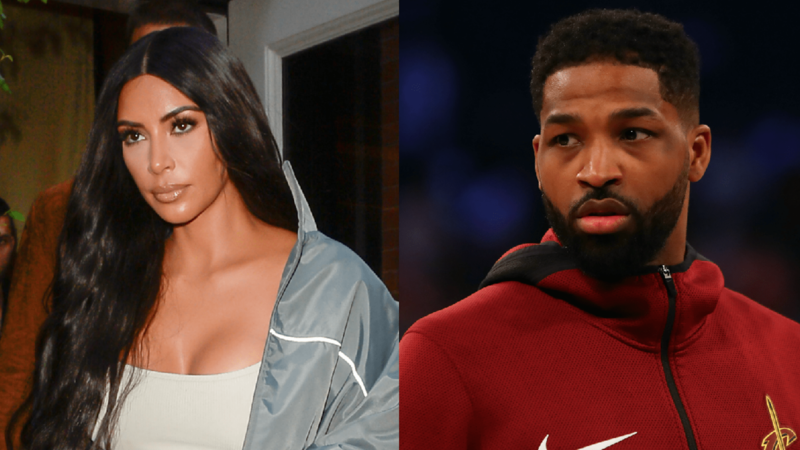 Oh, did you think the drama between Kim Kardashian West and Tristan Thompson was just going to die down and maybe, one day, go away entirely? Think again. In fact, Thompson has officially upped the petty ante in this cold war, making it very clear to the rest of us that things are worse than we thought between him and the middle Kardashian daughter. Kardashian West made her feelings about Thompson’s alleged cheating known on The Ellen DeGeneres Show and, shortly after her appearance, quietly unfollowed the basketball star on social media. Check: Kardashian West. Now, she’s revealed that Thompson actually blocked her on Instagram. Checkmate: Thompson. The truth is sometimes stranger than fiction, but there you have it. If we’re to believe Kardashian West’s claims, her having that pragmatic and honest moment with DeGeneres on live television really got under Thompson’s skin. Thompson hasn’t confirmed what exactly led to him blocking Kardashian West, but the fact remains: Homegirl is blocked. he blocked her for what? he was the one that.. you know what nvm. He has some nerve. He was the one out here being a ho. That response only hits on the silliness and pettiness of this entire story, specifically that Thompson is acting as if he’s been hurt and wronged in this situation when he is the one facing damning allegations of cheating. What right does he have, if the cheating really did happen? There are rumors going around that Kardashian is going to stay with Thompson and that they have allegedly reconciled, but Khloé? Sis? If you read this, maybe just extricate yourself from this guy’s orbit as much as possible. Anyone who stirs up petty drama like this doesn’t need to be your choice in a partner.